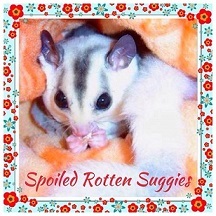 Specializing in sugar glider toys that are not only safe and fun for your gliders, but have a cute flair and look great in your gliders' homes! All products are made with the utmost safety in mind and can be customized to match your specific color requests. Please browse the store as new toys and products are always being updated for you to spoil your suggies rotten! Tips For Super Fun Cages!